Do you shop at Walmart? Then you need to enter this Giveaway now! 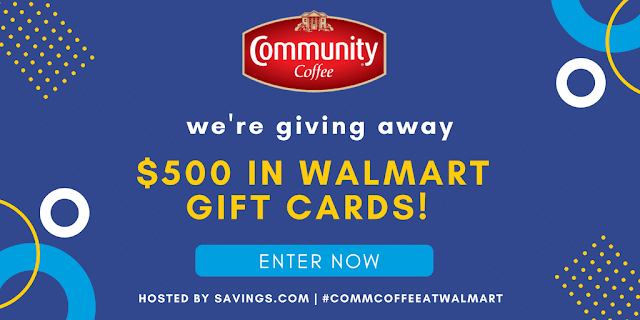 We're giving away $500 in gift cards from Walmart to support the Valpak Community Coffee Coupon, redeemable at Walmart stores! That is a total of ten prizes of $50 Walmart gift cards! What a great giveaway! I know almost anyone can use a $50 Walmart Gift Card. I'm headed over to check it out. We are always happy to get a gift card when it's time for back-to-school shopping!